The stunning ranch where the series shoots is called Chief Joseph Ranch in Darby, Montana. The cast gathers for a group shoot. A horse's eye view of the set. Brittany Troche and Kathy Lynch of the makeup department working on a wig. The series also shoots in Park City, Utah. Yellowstone was one of TV's biggest summer hits last year, and the crime/family drama is returning for a second season later in 2019. The series, created by Taylor Sheridan and John Linson, is helmed by Oscar- and Emmy-winner Kevin Costner. He plays John Dutton, the patriarch of a rich, powerful and dysfunctional family of ranchers. Murder, cancer, a broken marriage, dark secrets, corporate corruption, a family splintered... the show has a lot to answer for. John owns the largest largest contiguous ranch in the United States and battles politicians, police, and corrupt business people every day. His influence comes at a cost, though — the adult Dutton children are rebellious, angry, and constantly fighting with each other. Production on the second season recently wrapped and will contain 10 episodes. 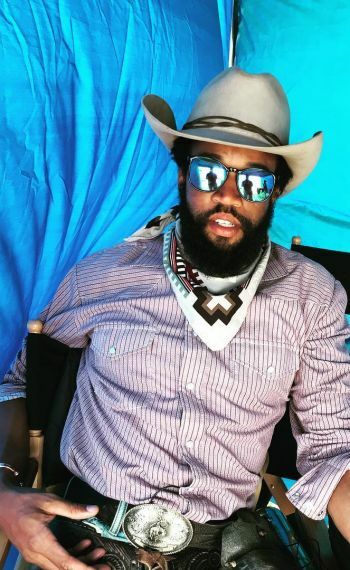 While onset, some of cast posted behind-the-scenes photos of their time out west filming. Click through the gallery above to check out the sneak-peek images.